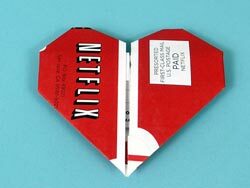 This post should have been titled: I love Netflix! The journey my husband and I have been on to downgrade our cable services, all with hopes of living cable-free, has hit a plateau. We were able to get our bill down to a comfortable price and we discovered the joys of Netflix. I can't say enough positive things about the Netflix service. I'm sure being able to live stream HD quality shows via his Playstation 3 is a huge factor, but I just love the ease of using this service. On top of the convenience the selection is vast and has something for everyone. We've been able to discover new (to us) shows and watch entire seasons at a time. High on my list of favorites are: 24, Glee, Swamp People .... and my husband's favorites Ancient Aliens and Battlestar Galactica - - which I'll admit can hold my attention though I have no clue what's going on with the storyline lol.